This is a new TV spot for Jigsaw, titled Take Back Halloween. 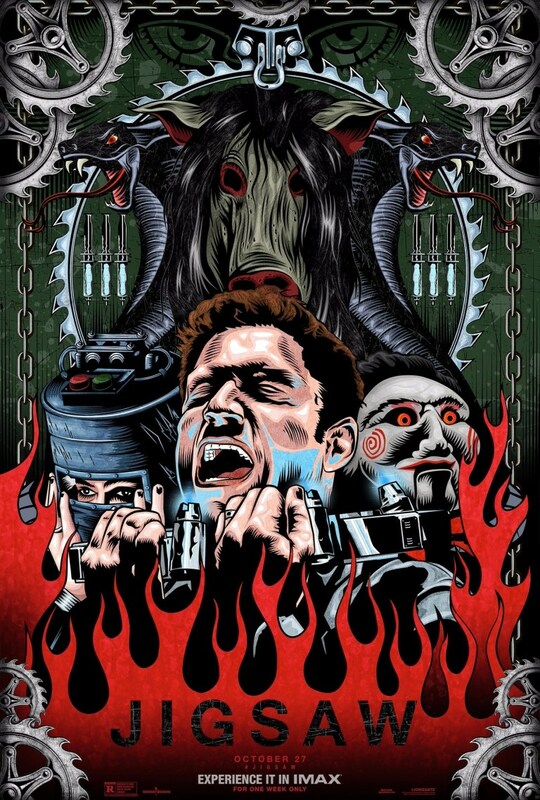 Jigsaw is the eight film in the Saw horror franchise. This is the first Saw picture in seven years and will premiere on October 27, 2017. It was written by Josh Stolberg and Pete Goldfinger, directed by Peter and Michael Spierig, and stars Mandela Van Peebles, Laura Vandervoort, Brittany Allen, Callum Keith Rennie, Matt Passmore, Hannah Emily Anderson, Josiah Black, Shaquan Lewis, Michael Bolsvert, and James Gomez. Check out the synopsis and TV spot below.